Short on time? Let wardrobe sellers contact you. Shandong Jinnuo Group Co., Ltd. This product is a newly designed one manufactured with Japanese equipment and processed by electro-static painting technology,so the appearances of the products are very smooth.With their high qualities & characteristics of being friendly to environment,fireproof, vermine-resistent and dampproof,the products products have got many praises from the customers all round the world. Guangdong Pier Group Co., Ltd. 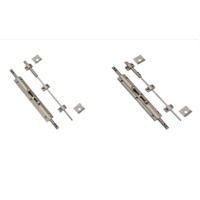 Product Description Item: Hinged Wardrobe Handle for door panel: 493-128B chrome Handle for drawer: 493-128 chrome Carcase: Paulownia wood +Canifornia red Door panel: Paulownia wood YL950 frame +grey glassl Decorative panel: Paulownia wood +Canifornia red 715 Spec. (mm): 2410W¡Á 600D¡Á 2400H (adjustable) Series: Cavalier series. Product Description Our Primary Competitive Advantages: 1. The Leading Brand of Cabinetry Industry 2. Authorized Environment-Friendly Products 3. First-Rate Base Material 4. Superior Quality and Value-Enhanced Affordability 5. World Famous Brand Hardware Inside 6. Safety + Durability + Convenience + Beauty 7. Wide Range Selection Guangdong Oppein Home Group INC. (Also known as Optima )---the Chinese largest wardrobe manufacturer. Oppein is committed to offerring our customers wardrobes in most beautiful design, excellent quality and resonable price. 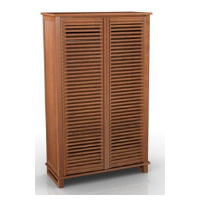 China wardrobe exporter Oppein which locates in Guangzhou specializes in producing middle-high quality cabinets, wardrobes, bathroom products, kitchen appliance, kitchen accessories, home furniture from China. OPPEIN's wardrobes, as well as other products, adopt advanced technology and are processed under strict quality control system. It thinks more on details of design and techniques to help customers in building healthy, functional, and beautiful kitchen. It respects and encourages customers' unique ideas on kitchen which will fully satisfy their real needs and reflect their taste on life. Assembly Packing. Canvas wardrobe at realistic price "Thien Nam Son" brand TNS:V120 Size: L1200 X W450 X H1700. Frame is made of square steel and electrostatis painted. Package color: As per customer request. Canvas wardrobe- Thien Nam Son brand TNS:V100 Size:L1000 X W450 X H1700. The frame is made of square steel and electrostatis painted. Package color: As per customer request. Clothes rack, garment wardrobe, metal wardrobe. Yude Interational Industrial Co., Ltd. Rated input voltage: dc 12v Detection angle: max.120deg Detection range: 1-3m Rated current: 700ma Standby power: lessthan 50ua Time delay: 20s+3s, adjustable Profile : aluminum, color & length optional Led bulbs: high brightness led Ir sensor switch enable Power drive: led constant driver Color temperature: 6400k, standard color, optional	Withstand 50kg pressure. Zhengzhou Ziel Imp&exp Co., Ltd. Durable metal material in aluminum / brass / stainless steel / steel / zinc alloy Standare size available. Size of hole center to hole center is 64mm / 96mm / 128mm / 160mm ..... Lots of options of size.